A truck driver is dead after colliding with a cargo train carrying hot asphalt in Portland, Oregon, on Sunday morning, authorities said. The crash, which occurred in the northwest section of the city, near St. John’s Bridge, was reported just before 9 a.m. and sparked a massive fire and a tower of black smoke. 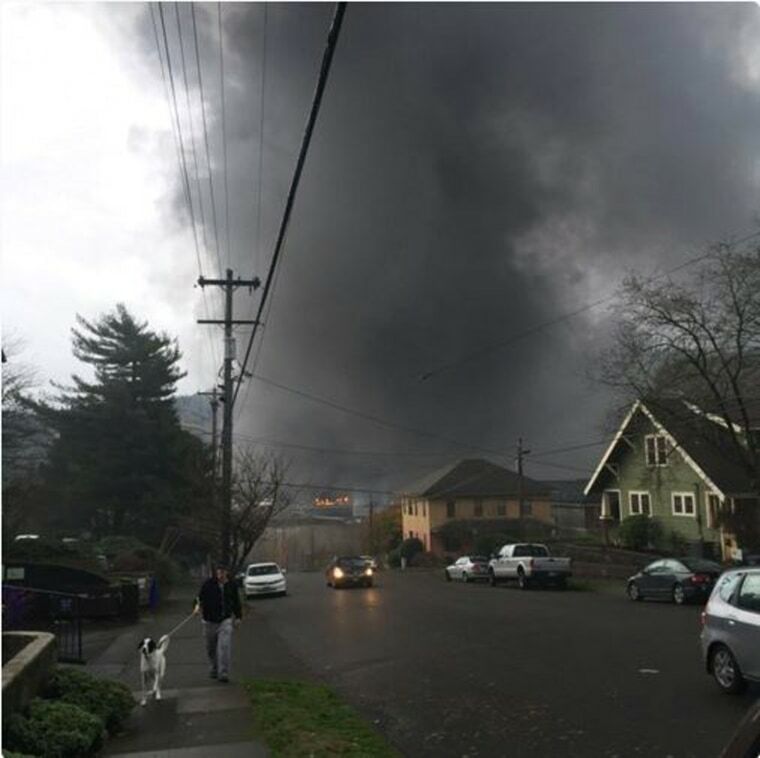 NBC affiliate KGW reported that one train car sustained major damage and appeared to be leaking. It was unclear what caused the crash, and police said that the investigation was just beginning. St. John’s Bridge was briefly closed Sunday morning, and authorities expected U.S. 30 to remain shut down for several hours.